Orders placed by 5:00 PM Pacific Time will ship the next business day, pending compliance and credit card verification. Express shipping is not available for Saturday or Sunday deliveries. Wild Horse Winery does not ship on major holidays or weekends. Additionally, in cases of extreme weather conditions (i.e., heat and/or cold), the Wild Horse Winery reserves the right to delay the release of shipments to ensure the highest quality of products at the time of arrival. Standard delivery will arrive within 7 to 10 days, following compliance and credit card authorization. Delivery occurs Monday through Friday, excluding holidays. 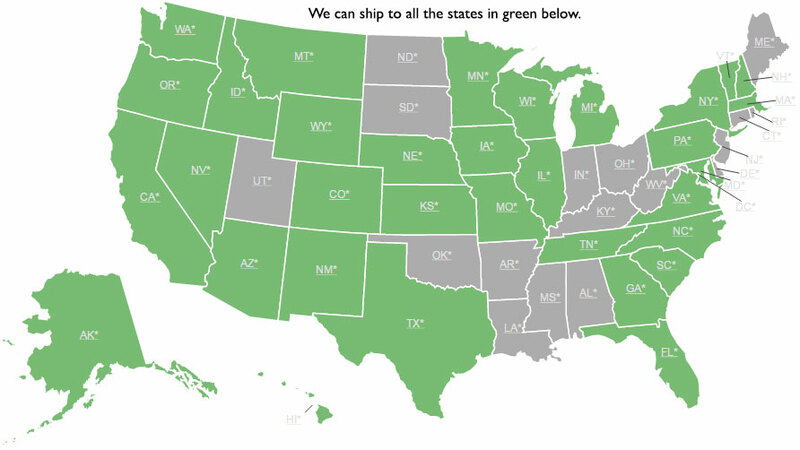 State laws prohibit our shipping wine to hotels, motels or licensed beverage facilities outside of California. Unfortunately, we cannot ship alcohol to PO Boxes or APO/FPO addresses. If you have any questions about your order, please email us at: customerservice@wildhorsewinery.com or call us at: 805.788.6310. While we continually monitor inventory to ensure our website's accuracy, there are occasions when certain vintages sell out or simply are no longer available. When that occurs, our Wine Specialists will replace the wine with a comparable vintage or varietals. Please call customer service at 805.788.6310 for assistance.